Highly organic soils, and in particular ombrotrophic bogs, have been often used to reconstruct climate changes and heavy metal contaminations. Ombrotrophic peat bogs, in fact, are domed peatlands in which the surface layers are hydrologically isolated from the influence of local groundwaters and surface waters, and are supplied only by atmospheric depositions. In the present work, the attention of Authors has been focused on Pb, Cu, and Zn, coming mainly from anthropogenic activities, and 137Cs, released mostly during the Chernobyl disaster. Practically, an undisturbed peat profile was cored in 2005 from a Swiss ombrotrophic bog and analysed using energy-dispersive miniprobe multielement analyzer X-ray fluorescence and Low Background γ-ray spectrometry in order to investigate and quantify the impact of human activities (e.g., industry, traffic, combustion of fossil fuels, “environmental disasters”) in causing Pb, Cu, Zn, and 137Cs contaminations during the centuries. 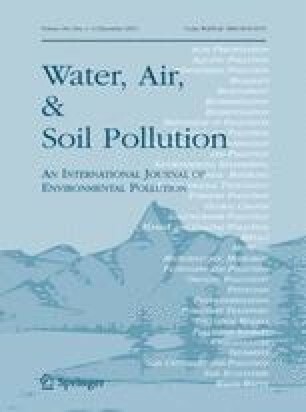 Obtained data show that highly organic soils in general, and ombrotrophic bogs in particular, reflect the anthropogenic inputs in heavy metal and radionuclide contaminations. In fact, these environments allowed to follow the depositional history of Pb, Cu, and Zn, both underlining a general increasing of their production since the Industrial Revolution, and remarking past single impacting events such as the introduction of leaded gasoline and of particular agricultural practices. Further, although 137Cs showed a main peak corresponding to the Chernobyl disaster, confirming the role of bogs as archive of human activity, data revealed a certain mobility of this radionuclide along the profile. Thus, highly organic soils can be considered as both “witness” of the impact of human activity during centuries and indicator of the health of our planet. Special thanks goes to Dr. G. Le Roux for providing useful suggestions. Thanks also to anonymous reviewers for helpful comments on a previous version of the manuscript. Zaccone, C., Cocozza, C., Cheburkin, A. K., Shotyk, W., & Miano, T. M. (2007c). Residual enrichment and depletion of major and trace elements, and radionuclides in ombrotrophic raw peat and related humic acids. Geoderma (in press) doi: 10.1016/j.geoderma.2007.06.007. Zaccone, C., Cocozza, C., D’Orazio, V., Plaza, C., Cheburkin, A. K., & Miano, T. M. (2007a). Influence of extractant on quality and trace elements content of peat humic acids. Talanta (in press) doi: 10.1016/j.talanta.2007.04.052.